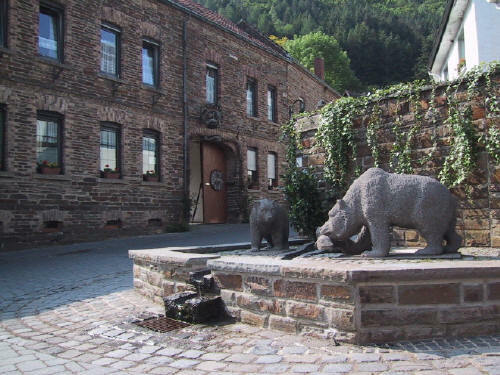 Haus Appel, Rotweinstraße 1-3, 53506 Rech, Fon (02643)8070, Fax (02643)807-85, www.hotel.hausappel.de, Email: hotel@hausappel.de. The hotel is only 100m from train station. We acknowledge the support of the European Community-Research Infrastructure Activity under the FP6 "Structuring the European Research Area" programme (Hadron Physics, contract number R113-CT-2004-506078).